Home / Visit from Mr. Huamin, WJS Pacific in China! 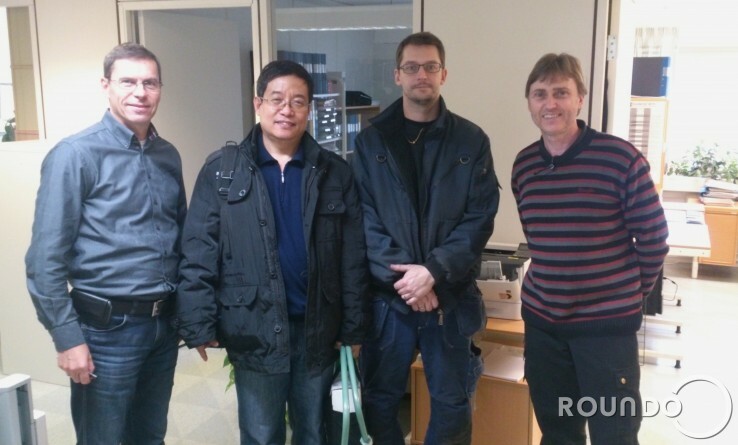 This week we received a visit from Mr. Zhang Huamin from WJS Pacific Trading Company Ltd, our agent in China. Mr. Huamin is a senior engineer and came to Roundo for training and education. Mr. Fredrik Hejman and Roundo after-sales manager Mr. Mats Håkansson.